Syria monitor group says death toll in Israeli attacks in Syria on Monday has risen to 21, including 12 Iranian soldiers. The death toll in an Israeli attack on Syrian and Iranian targets inside of Syria has risen from 11 to 21, an anti-Assad monitor group claimed Tuesday. The Syrian Observatory for Human Rights, a UK-based group opposed to the Assad regime, said Tuesday morning that the number of casualties in Israel’s airstrikes Monday had risen to 21. "There are 15 foreigners among the dead, including 12 from the Iranian forces," SOHR chief Rami Abdel Rahman told AFP. "Six Syrians from the regime were also killed." That figure includes 12 Iranian soldiers from the Revolutionary Guards, 6 Syrian soldiers, and three other non-Syrian nationals. 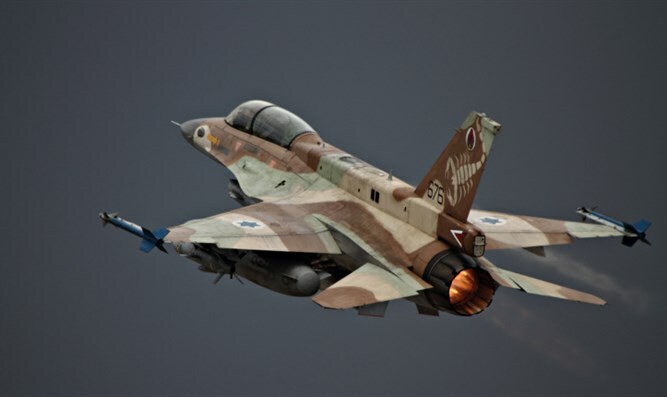 The SOHR claimed that three Israel Air Force squadrons were involved in the predawn attacks Monday morning, which reportedly also included the firing of surface-to-surface missiles. Israel has confirmed it attacked military targets in Syria in response to the launching of a surface-to-surface rocket that was carried out on Sunday by Iranian Quds forces operating in Syrian territory. Prime Minister Binyamin Netanyahu warned Iran Monday that Israel would continue to strike at Revolutionary Guards positions in Syria, and that the IDF was prepared to retaliate for any Iranian escalations.